What’s the Difference Between DUI and OVI? “DUI” stands for “driving under the influence.” As a criminal/traffic charge, it applies to drunk drivers and drivers who have taken the road after using drugs such as marijuana, cocaine, heroin, opioid painkillers, and methamphetamines. “OVI” stands for “operating a vehicle while intoxicated.” It can also mean “operating a vehicle while impaired,” but Ohio state laws and courts use the first meaning. In real-world conversations, there is no difference between the terms DUI and OVI. People who are not lawmakers, judges, lawyers, or law enforcement officials can use them interchangeably. In fact, depending on which state you are in, you may also hear or read “DWI,” “OWI,” or even “OUI.” Each abbreviation for a statutory offense has the same meaning. The take-home message is that though the legal terminology changes, the basic laws and penalties do not. Drivers over the age of 21 must keep their blood alcohol concentration (BAC) below .08 to avoid testing above the limit for DUI/OVI. Separate standards exist for blood and urine concentration of several drugs. 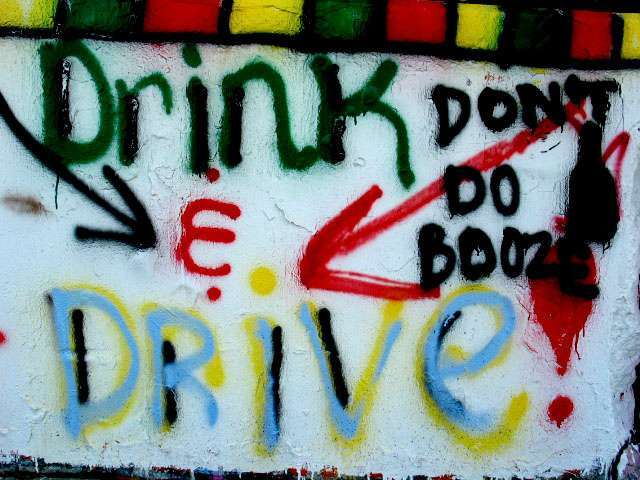 Commercial truck and bus drivers are held to a lower legal BAC, and so are teen drivers. Commercial drivers can face criminal/traffic charges for operating with a BAC above .04. People younger than 21 cannot drive with a BAC above .02, which can often be reached by drinking a single 12-ounce beer over the course of an hour. The vehicles being driven or operated do not need to be cars, trucks, or buses. The relevant laws are written broadly enough to cover bicycles, boats, personal watercraft like Jet-Skis, and aircraft. Further, observations made by police officers and laboratory breath, blood, and urine tests constitute the primary evidence for a conviction. Penalties for operating a vehicle while intoxicated by alcohol or while under the influence of drugs are also similar no matter what terminology a state uses. High fines, jail sentences or house arrests, driver’s license and CDL suspensions, and numerous points on the driver’s record result from a conviction. A second or third conviction brings harsher penalties. A DUI/OVI case can also lead to losing a job and paying much higher car insurance rates when a suspended license gets reinstated. Each state does follow slightly different rules for conducting DUI/OVI investigations and trials. This makes hiring a Columbus DUI defense attorney to help with a drunk or drugged driving case in central Ohio essential. The same would be true for hiring a Detroit DUI lawyer for a case in southern Michigan. A final consideration is that penalties are served in the states in which they are imposed, but DUI/OVI-related license suspensions are enforced across the country. Heading to a new state will not, by itself, allow a person convicted of drunk or drugged driving to get back behind the wheel legally. If you need to speak with a Columbus, Ohio DUI attorney, you can schedule a no-cost, no-obligation consultation with an OVI defense lawyer by calling The Maher Law Firm at (614) 205-2208. Free consultations can also be requested online.